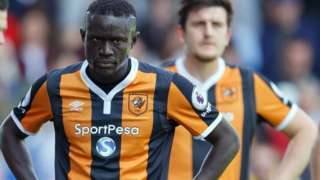 Hull City will play in the Championship next season after a thumping 4-0 defeat at Crystal Palace sends them down. We'll be back with you Monday morning from 08:00. There is concern that more students are suffering from exam stress. 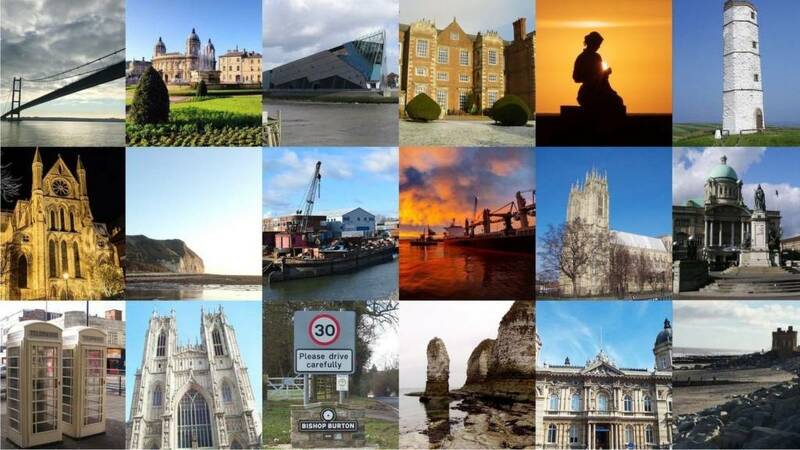 More than 2,000 people have signed a petition to grant the Three Ships mural in Hull listed status. The Humber Street Sesh has announced its headlines acts for this summer's event. Plans for a new prison in East Yorkshire have been submitted. A full list candidates for the general election has been announced. Today really belongs to one woman, Hull's bee lady Jean Bishop. She has raised over £100,000 for charity. Happy Birthday Hull's Bee Lady. A special programme highlighting the beauty of the East Yorkshire Wolds will be shown to a national TV audience this weekend. Part one of a two-part series called "Yorkshire Wolds Way" will be on BBC 2 tomorrow evening. On Sunday there will be a mixture of sunshine and scattered heavy showers with some possibly becoming thundery. The Hull and East Yorkshire Hospitals Trust has told the BBC that malware was detected on the computer centre but it has not had a significant impact on services. Here's a short video telling you some of the upcoming events and how to get your tickets. NHS Digital have sent out this statement in response to a cyber-attack on hospitals across the country. NHS services across England have been hit by IT failure, believed to be caused by a large-scale cyber attack. Trusts and hospitals in London, Blackburn, Nottingham, Cumbria and Hertfordshire have been affected. 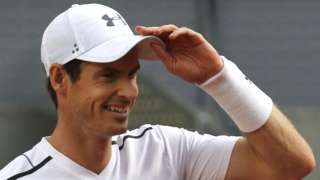 NHS England says they are aware of the issue and are looking into it. The BBC is contacting local hospitals in East Yorkshire and northern Lincolnshire to see if they've been affected by the cyber attack. Hull's City Council says it hopes new fountains in Queen Victoria Square will be finished by the end of the month, if testing next week is successful. The fountains are part of a £25m pound facelift of the city centre. Two men have been arrested after a man was found dead in Hull. Humberside Police said it was called to an address on Princes Avenue shortly before 16:30 on Thursday following the death of a 27-year-old man. A 33-year-old and a 52-year-old have been held in connection with the man's death and are in custody. The victim is yet to be formally identified and enquiries are under way to establish the cause of his death, a spokesperson for the force said. Here are some photos from Hull's 'Bee Lady' Jean Bishop's birthday. BBC Radio Humberside's Lizzie and Carl hosted the party to celebrate Jean's birthday. Politicians including John Prescott and Alan Johnson were full of praise for Hull's bee lady. The room and cakes were decorated in yellow and black. Many people from Hull and the surrounding area have sent Jean cards wishing her many happy returns. The number of children and teenagers who're being referred to mental health services in the East Riding is now at record levels and charities believe exam pressures are partly to blame. Many teenagers say the new A-level courses, where subjects are examined at the end of two years, are adding to their anxiety and stress. Head coach Tim Sheens admits Salford are the favourites going into the sixth round match, but the Robins will go into the game showing plenty of spirit. Championship leaders Hull KR, who were relegated by Salford last season, have made three changes to the side that hammered Batley 68-4 last week. Thomas Minns, Nick Scruton and Josh Johnson come in for youngsters Joe Cator, Brad Clavering and Joe Wardill. Water polo in our region is on the decline. The Humberside Water Polo club are now the only team in East Yorkshire and North Lincolnshire, and have only just got back on track after their last training pool was closed. They now play at the newly renovated Albert Avenue Baths in Hull, where competitive water polo has been taking place since the 1950s. If given the go-ahead the new prison will be built on land next to the high-security Full Sutton jail, near Pocklington. It's part of government plans to invest £1.3bn in building new prisons on four sites across the UK. The East Riding of Yorkshire Council's planning committee will now consider the plans. Hull FC take on Catalans Dragons tonight in the sixth round of the Ladbrokes Challenge Cup. The Black and Whites look to defend the title after winning the cup last year. Hull FC will recall prop Scott Taylor after he missed last week's win over Widnes as he was on international duty with England. Danny Houghton also plays after coming back from injury in that game. 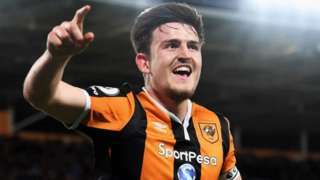 Hull City defender Harry Maguire says he will not hold talks over a new contract with the Tigers until the end of the season. The one day music festival, which showcase local music, will be held on Saturday 5 August.